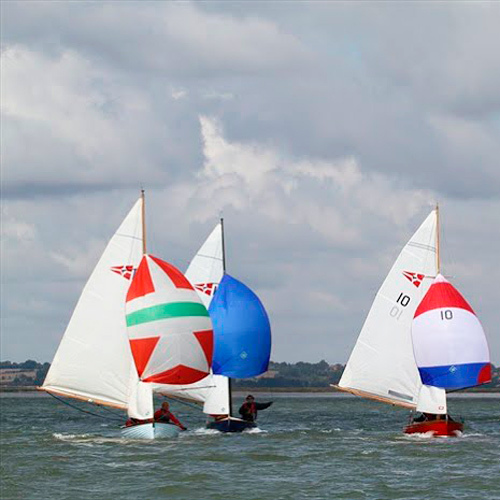 Wivenhoe Sailing Club has a thriving dinghy racing circuit and boats that sail include W.O.D.s, Lasers, Flying Fifteens, Wayfarers, Mirror Miracles and Topaz to name but a few. During Club racing days a fully equipped Safety Boat is on duty for the period of the race providing safety cover. This therefore is an ideal time to try out a Club boat and join in Club racing or one of the many organised Club sailing activities. There are regular Handicap Class races throughout the season during weekends starting in February with the Frostbite Series and going through to late December. Of course, you can just take one out for a quiet sail and explore the quiet inlets and beeches, searching out the mosaic of varied habitats, home to diverse bird species and wildlife like few other places in the country. The club always welcomes new members. And for those who are a little nervous about racing the Club can pair you up with someone who is experienced to get you sailing.